Fire in the hole! 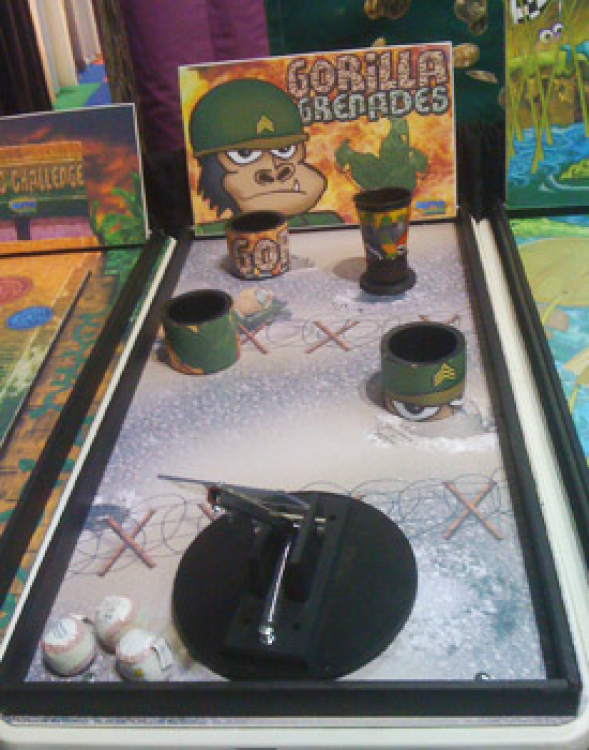 Join the gorilla army & toss some grenades. Players swivel the flipper around & flip the balls in an attempt to land in the cups for a direct hit. Includes: Cups and balls.